The West Coast is experiencing a magnificent February this year and with an empty calendar for today I decided to get out and make the most of it. I hadn’t been downtown in ages and with tomorrow being Chinese New Year I thought that Chinatown would make a great morning excursion. 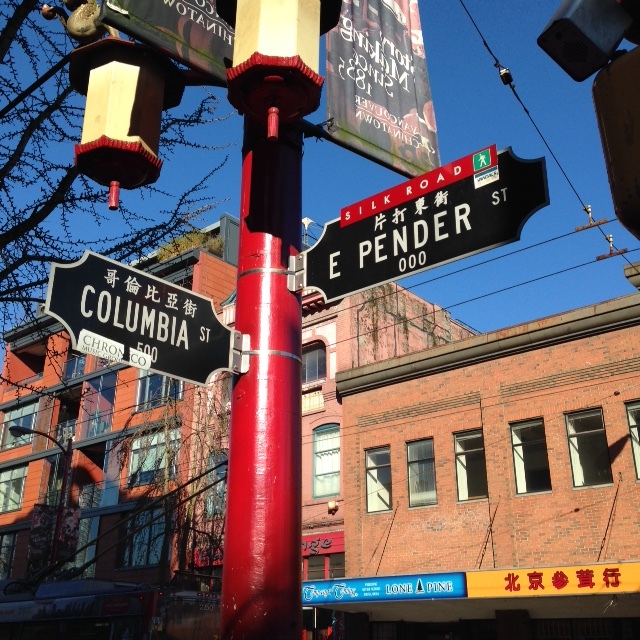 Vancouver’s Chinatown is one of the largest historic Chinatowns in North America and although over the years it has declined as members of Vancouver’s Cantonese Chinese community have dispersed to other areas, it still holds a lot of charm. 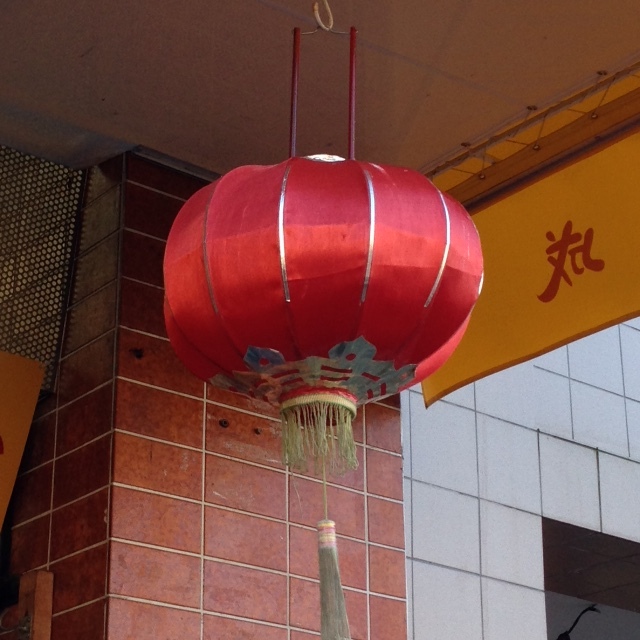 I love the hustle and bustle of Chinatown, particularly the day before a huge celebration. The ladies pulling their shopping carts behind them and haggling over the price of live fish. The crazy old lady at the produce stand yelling at passers-by to, I’m assuming, come and check out her fresh fruits and veggies. One day I will ask one of the little old ladies at the markets what the hell all those things are. Basket after basket of dehydrated somethings. Some are fish but others are, well I don’t know what they are, but they look so interesting and I can only imagine the flavor they would add to a stir fry. Chinatown is always loud for some reason. Everyone seems to know each other and yells across the street if they see a friend. Most shoppers are chattering away as they make their way from store to store. My first stop was the Ten Ren tea store at the corner of Pender and Main. I love their ginger black tea. Everything you would need for a traditional tea ceremony you can buy in this store. It’s all I can do not to buy one of their fabulous black and red lacquer tea sets. Really the last thing I need is another tea-pot. Next up is the corner store for red lucky money envelopes. Traditionally lucky money is given at celebrations like weddings, births, funerals and Chinese New Years. Apparently you are supposed to give money that ends in an even digit and should not have the number four in it as that number is associated with death. The money should also be in the form of a bill so that the recipient can’t guess the amount in the envelope. 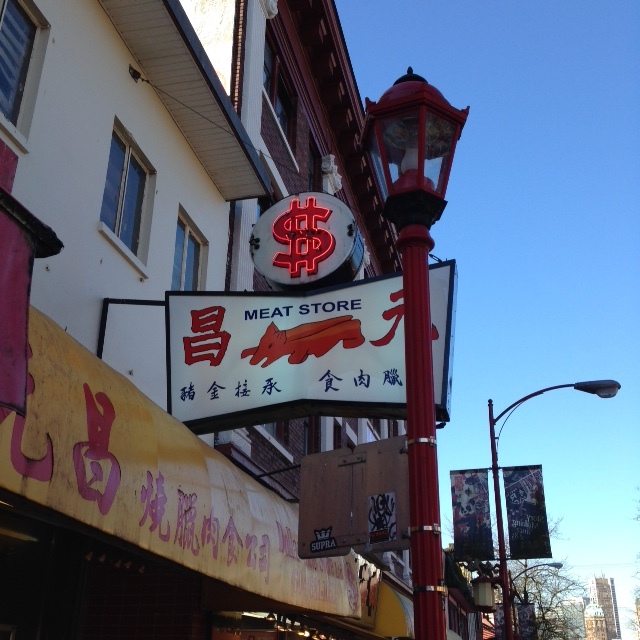 When I was little my family used to go to a restaurant in Chinatown called the Ho Inn. It was just off the corner of Pender and Columbia. Old style diner style dining. The booth tables had huge lazy Susan’s in the middle of the table for easy access to every dish. My dad and brother always ordered the garlic cod for the sole purpose of daring each other to eat the eye balls. Ewwww. Unfortunately the restaurant burnt down many years ago and a new fusion bistro stand in its place. The store next door was almost as big a part of the dining experience as the restaurant. 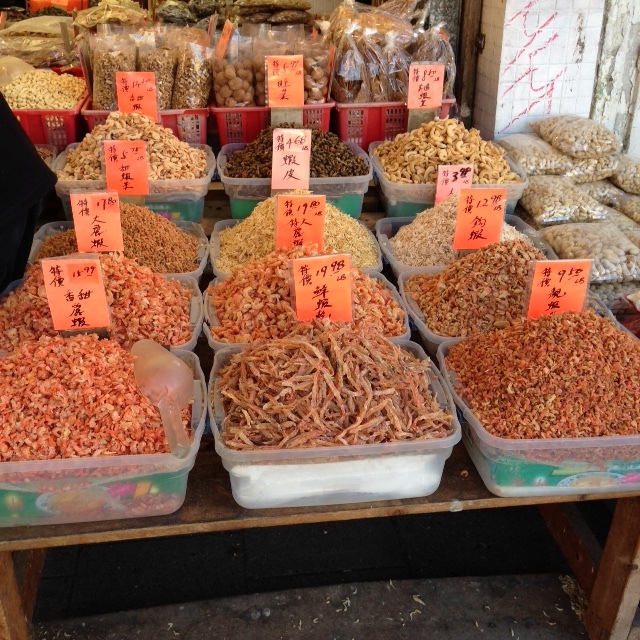 A typical Chinatown trading market with incense, delicate China soup bowls and spoons, red and gold tasselled figurines and bags of brightly coloured candies. The white rabbit ones where my favorite. I loved going there after dinner to look at the curios while the lady behind the counter gave me the stink eye. I’m pretty sure she thought I was going to break something. I think that the Dollar Market still has the best barbecued pork and the line up of people waiting outside the store is significant. I was the only Caucasian person in the line up today. I would guess there were twenty people waiting patiently to buy cooked meat. The window is full of whole roasted chickens, barbecue pork loins and whole sides of pork that is sold by the rib. The men behind the counter wield huge sharp cleavers and chop the meat up so quickly I’m surprised they all still have ten fingers. Once I get to the front of the line I order a half a pound of barbecued pork. Chopped and wrapped in brown wax paper it is moist, fragrant and delicious. I rarely make it home without sneaking a bite or two. The meat store can be a bit off putting to some who are used the sterility of a Safeway meat department but that’s part of the charm for me. In the Chinese calendar the coming year is the year of the sheep. The Chinese regard sheep as an auspicious animal, so the Year of the Sheep should be a year of promise and prosperity. I myself am a dragon. Interestingly, all of the men in my life are rats. My dad, my ex-husband, my current husband and my son. Wonder if that means anything? So as I head home with my tea, barbecued park and lucky money envelopes, I look forward to a great year and enjoying all The Best Things in Life. Get out and enjoy somewhere you haven’t been in a while. It’s worth it!